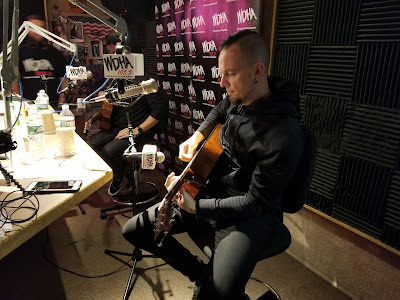 Tremonti frontman Mark Tremonti and guitarist Eric Friedman performed an acoustic cover of The Cars’ 1978 classic, “Just What I Needed”, during a visit to WDHA 105.5 The Rock Of New Jersey on May 16, and video from the appearance is streaming online. “Just What I Needed” was the lead single from The Cars’ 1978 self-titled debut; the US Top 30 single helped propel the record to No. 18 on the Billboard 200 on its way to sales of more than 6 million copies. Due June 8, the band’s fourth studio record is their first concept album, with a story built around the co-existence of humans and fabricated beings at the turn of the next century.